This camp has a schedule that is a little different; see more info about our 4th of July Camps. Showers – We have showers (2 sets for girls = 12 total; 2 sets for boys). There are shower curtains for the girls. Program Area – We hold the program in the gym. Once you are inside the school, it is air conditioned throughout. For that reason, we suggest our campers bring a sweatshirt as they get cold often. Sleeping Arrangements – The campers sleep in classrooms on the second floor which all have carpeting. We usually fit 15-20 per classroom comfortably. 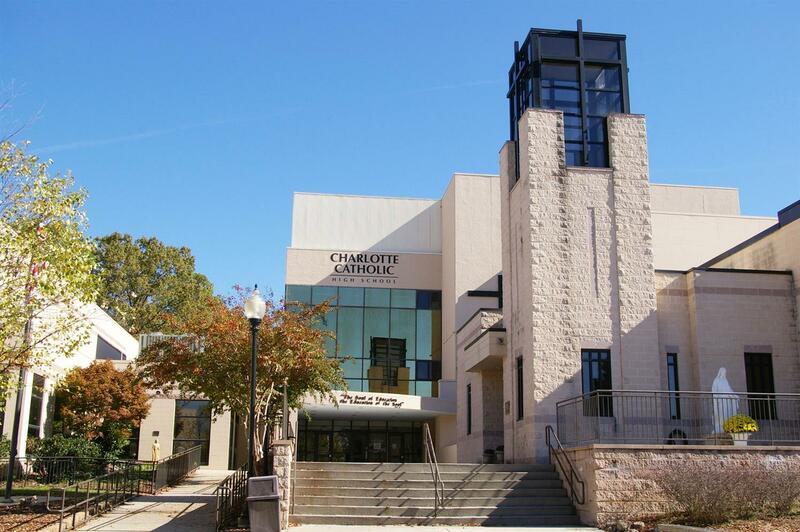 We work with the City of Charlotte and an interdenominational agency, which cares primarily for the elderly and poor. We do help agencies that do food service, home for abused women and children, nursing homes, etc. 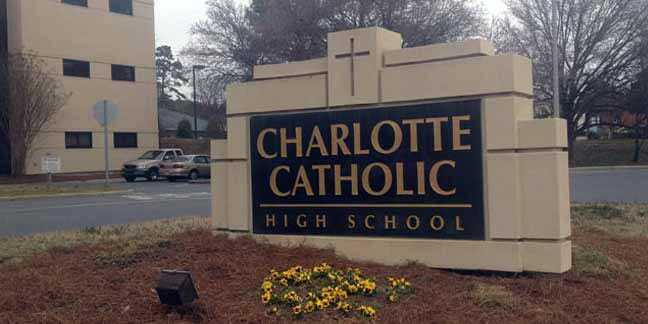 Charlotte Catholic High School also helps these agencies throughout the school year, so we value our reputation and relationship with them! See the sites of Charlotte up close and first hand. Charlotte’s vibrant, New South spirit can be seen throughout the streets of downtown. 92-acre theme park featuring six roller coasters, six-acre water park, Animation Station, plus a wide variety of shows, shops, restaurants, and many family attractions. One of nation’s top hands-on science museums. From the frontiers of space to the depths of the sea, Discovery Place is an ever-changing ever-growing, cutting edge science center. Our Discovery Halls and The Charlotte Observer IMAX® Dome Theatre offer something fun and educational for everyone in the family! Fun & excitement abound at The Pit Indoor Kart Racing facility in Mooresville. We host small and large groups and entertain with a third of a mile indoor go kart track, climbing wall, lazer tag arena, and eighteen holes of black light mini golf. Our arcade offers fun for everyone!